As single parents, online dating presents a unique challenge; getting to know someone who will not just add to your happiness and life, but your kids’ as well. It includes all the steps and social nuances one takes when dipping their toe into the dating world, but this time, it’s after your daily responsibilities and cherished family time. At times, it may seem draining and frustrating, but don’t give up! We’ve put together a list of 9 online dating tips for single parents—so you can feel confident about finding a lasting, loving relationship. It’s time to get back out there, on your terms. Finding your perfect match begins with your profile. Make sure all of your information is up-to-date, be selective about what information you’re sharing, and choose a profile image that paints the picture you’d like to portray. As a single parent, you have specific priorities that you’re probably not willing to bend on. Maintain an open and upbeat approach, but be honest about who you are and what you’re looking for. A well-thought-out profile is the first step in eliminating candidates right off the bat who aren’t right for you. Be open when getting to know new people, but trust your instincts. If you have a gut feeling about someone, follow it. You’re not just doing yourself a favor, you’re doing your kids one as well. Maybe the potential match is a great person, but doesn’t have all the qualities you really need from a partner. Or maybe you don’t quite feel safe around them and there’s just something off about the situation. Tune in and stand strong. Finding love begins with looking in the right places. Not every dating site is geared toward people looking for serious relationships. And some dating sites are totally dedicated to single parents. Find the dating site that suits your needs. Looking for someone who not only understands your priorities but is also a single parent? SingleParentMeet’s simple, safe platform allows you to fully tailor your profile and browse through 1000s of like-minded individuals. If you’re not as set on meeting another single parent, Zoosk is a leading online dating company with millions of users, that lets you narrow down your search to the details that really matter to you. You’re looking for love in all the right places, you’ve updated your profile, and you’re meeting dozens of people, each one different from the next. Should you go on dates with all of them just to put yourself out there? No way. Stick to your values and filter out anyone you think wouldn’t make the best partner. You’ll likely receive messages from many, many people. Take your time getting to know them and don’t say yes if you’re not feeling a connection. Not only will you save yourself time, but it will also be easier to remain optimistic if you’re patient and remember that you deserve the best. Nowadays there’s no excuse for not being mindful of your safety. There are plenty of great safety apps that will give you peace-of-mind and ensure you’re looking after yourself. Vet your dates and meet them in public places around areas you’re comfortable with. Always tell your sitter and friends where you’ll be on your dates. Online dating should be fun—just make sure you’re putting your safety first. Just like you wouldn’t share every little detail about your life, don’t overshare about your kids either. Avoid posting pictures of them on the dating site and leave out identifying details about them no one needs to know, such as where they go to school or what after-school activities they love. Protect their privacy fiercely and before you decide to let someone into your lives, make sure you trust them completely. While there are plenty of free dating sites and apps out there, they may not have your best interests in mind. While these free sites can be useful for meeting new people and casual dating, if you’re looking for something more serious, you’re more likely to find it on a more serious site. It’s worth paying a small price for the right dating site so you can match with someone special who’s looking for the same thing as you. 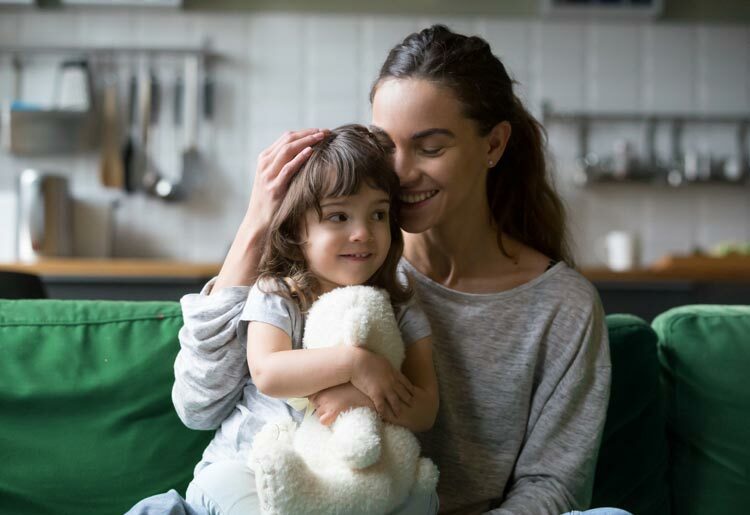 When you have a good feeling about someone or they pique your interest, call up your trusted babysitter, or find a caring sitter on one of these platforms, so you’ll know your kids are in good hands while you take a night to yourself. Don’t introduce your kids to your date before leaving. Not on the first date, not on the second, and not on the third. Really take the time to get to know someone on your terms and give them a chance to show you who they are before taking the big step and introducing them to your kids. Keeping your dating life private makes it easier for you to figure out if you really do have a future with this person while eliminating any outside pressure. Dating should be fun! Don’t feel you need to accelerate the process in any way. Use dating sites like Zoosk and SingleParentMeet as tools to meet your match. Take each step as slowly as you want, and remember: there’s no rush. Online dating saves single parents time and precious energy. With a good profile and on the right sites, you can increase the chances of finding your match. In time—and with some patience—the right person will come along.